A sleek and modern design. A strong and solid choice. 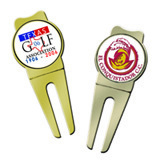 A low-cost divot tool choice.